There are only two ways we could improve upon the Nightforce 2.5-10 x 32 NXS™ Compact…one of our most popular, most proven riflescopes. One way is by increasing the size of the objective lens to 42mm, making it even more effective in low light. The other way is by adding new technology, additional features, and more options. We’ve done that, too. 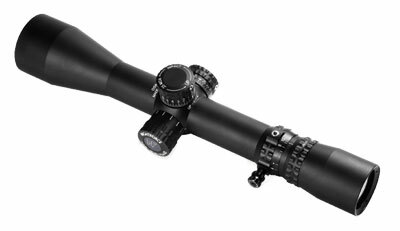 The result is a riflescope of streamlined proportions, minimal weight, and performance far beyond its size. Actually, beyond most riflescopes of any size. Night vision compatible settings Multiple intensities of reticle illumination—invisible to the naked eye—are designed specifically for use with NVDs. You can also choose between red or green illumination, from very dim to very bright, for use in normal conditions. Instant magnification changes in a fraction of a second, even if you’re wearing gloves. 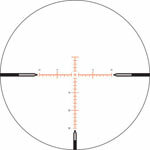 Your riflescope arrives with a flush insert, which you can easily replace with the threaded PTL™ knob. Like so many Nightforce features, the PTL™ is included on our Compacts at no extra cost.